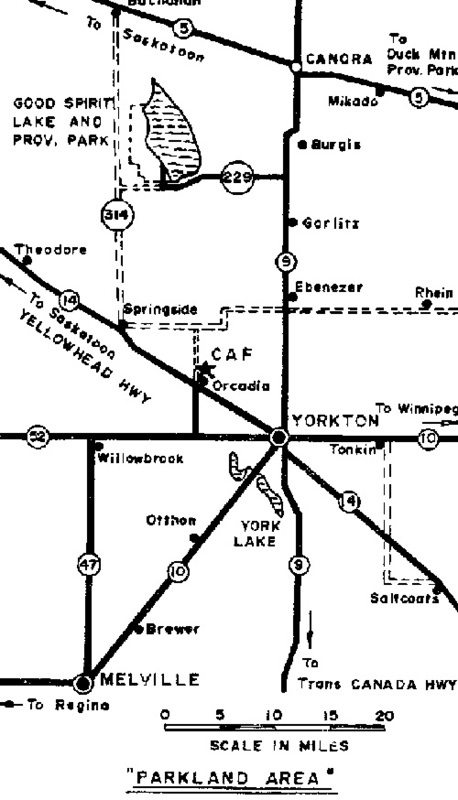 - (1998) Located 14.5 miles northwest of the city of Yorkton and 200 road miles northeast of Regina, SK. Map 1 is courtesy Yorktown Tourism. Used with permission. Map 2 is courtesy Bob Tucker. Used with permission.